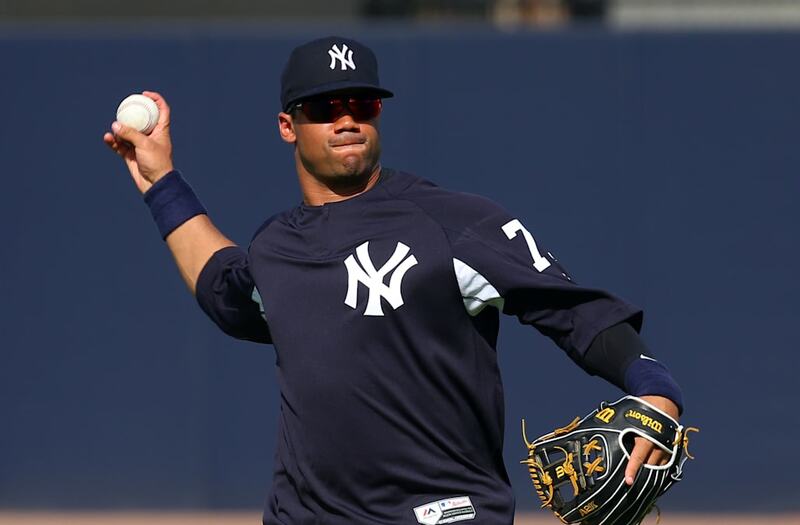 Seattle Seahawks quarterback Russell Wilson attended spring training with the New York Yankees on Monday. While Wilson described the day as a dream come true, it wasn't a day that came undeserved, as Wilson's baseball rights have been drafted and traded for longer than he's been playing professional football. In batting practice, Wilson hit six home runs for the Bronx Bombers — not matching up with teammates Aaron Judge and Giancarlo Stanton, but certainly holding his own. Russell Wilson had close to an MVP caliber season for the Seattle Seahawks in 2017, but football is not the only sport he can dominate. Wilson was actually first introduced to the world of professional sports was with Major League Baseball, being drafted by the Orioles out of high school all the way back in 2007. Wilson passed on the offer, choosing instead to attend NC State University, where he would split time between football and baseball, before transferring to Wisconsin in his final year of eligibility to lead the Badgers to the Rose Bowl. But in the summer of 2010, Wilson was drafted into baseball again, this time by the Rockies, and after playing a few minor league games his baseball rights have jumped from team to team until the Yankees traded for him earlier in February and invited him to spring training. So far, it sounds like Wilson is having a great time. "Ever since I was a young kid I always dreamed to be a Yankee," Wilson said. "I always watched them. My favorite player was Derek Jeter growing up, watching him, his professionalism and how he played." Despite numerous seasons as one of the top quarterbacks in the NFL, on Monday it appeared as though Wilson hadn't missed a beat with regard to his abilities on the baseball diamond. While he didn't lead the team thanks to stud sluggers including Aaron Judge and Giancarlo Stanton, Wilson did manage to hit six home runs during batting practice over the course of the day, and was a steady hand fielding grounders at second base. Some might be surprised by Wilson's prowess outside the sport that's technically his profession, but to him, the day on the field was just another day at the ballpark. "This is what I've known my whole life," Wilson said. "Now, I couldn't just step on a basketball court. I wouldn't be good at basketball, but baseball, it's like riding a bike once you get back out there for me." Don't expect Wilson to hang up his Seahawks jersey any time soon, but it appears that should he ever decide he's done with the NFL, he'd at least have as good a shot at the majors as some other former quarterbacks. You can watch some of Wilson's comments on his first day with the Yankees below.